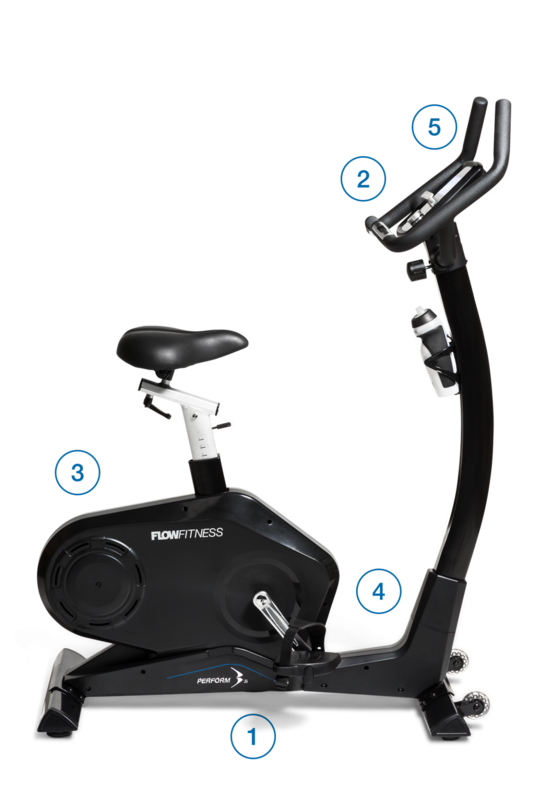 For the fanatic athlete, who prefers to workout at least three times a week, Flow Fitness has developed the B3i. 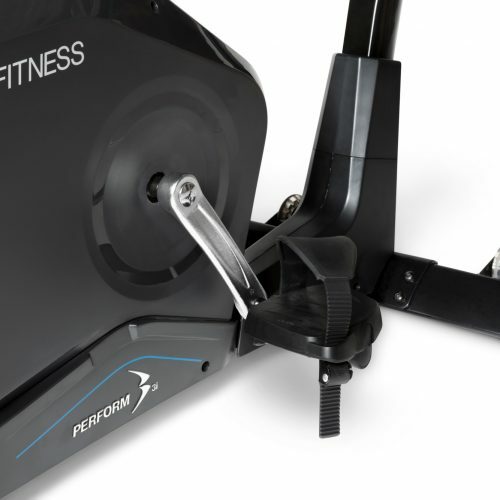 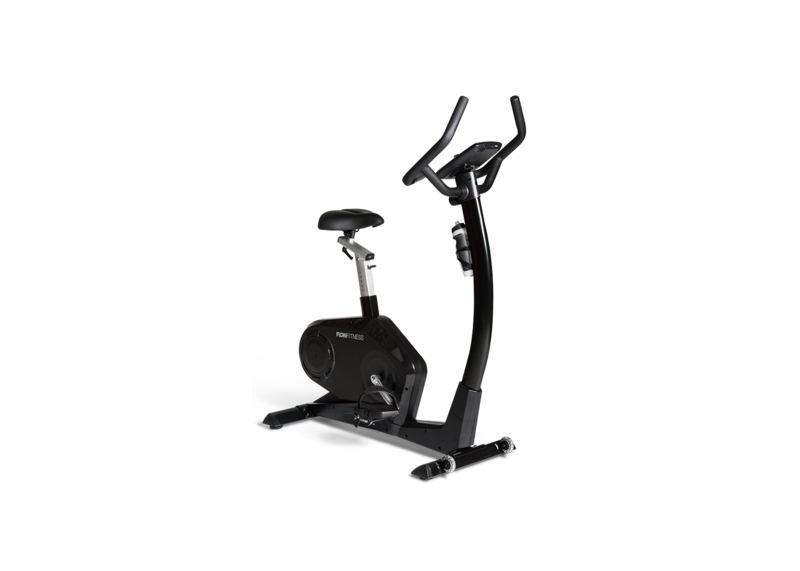 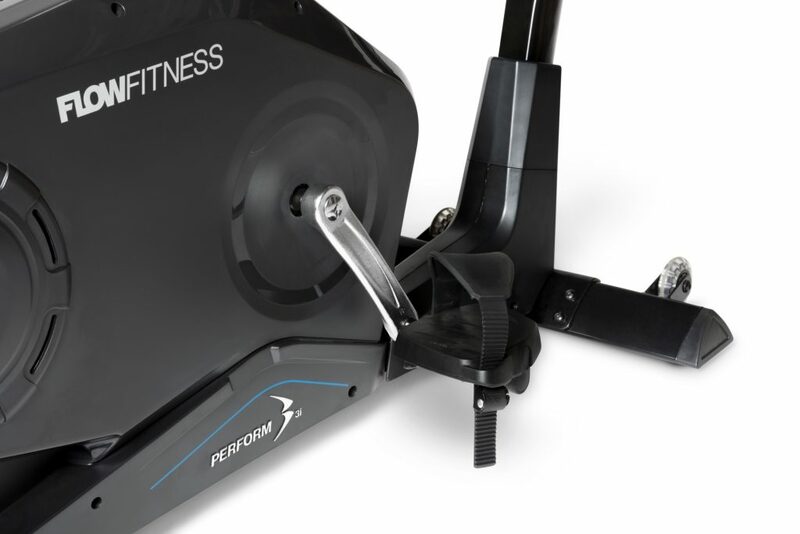 A very sturdy and robust exercise bike from the Perform Line. 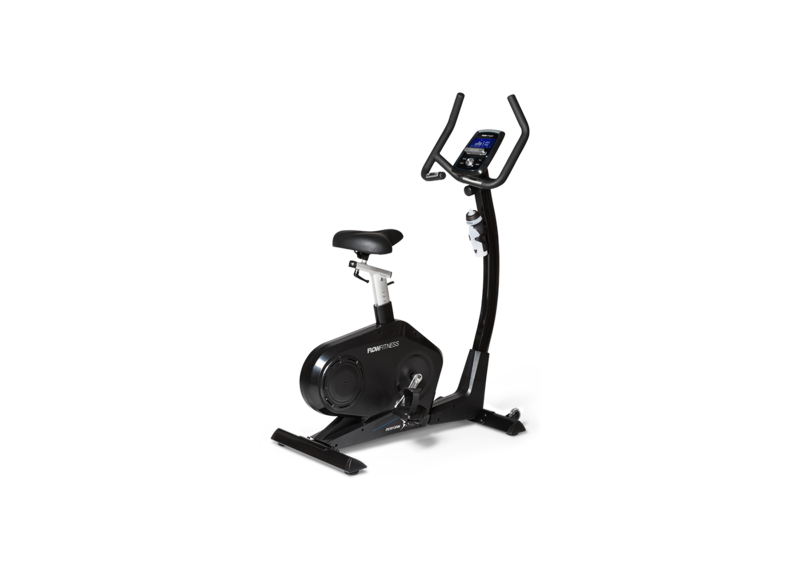 However, this brand new top model by Flow Fitness is not only suitable for home use, because of the low starting resistance it is also ideal for rehabilitation and physiotherapy. 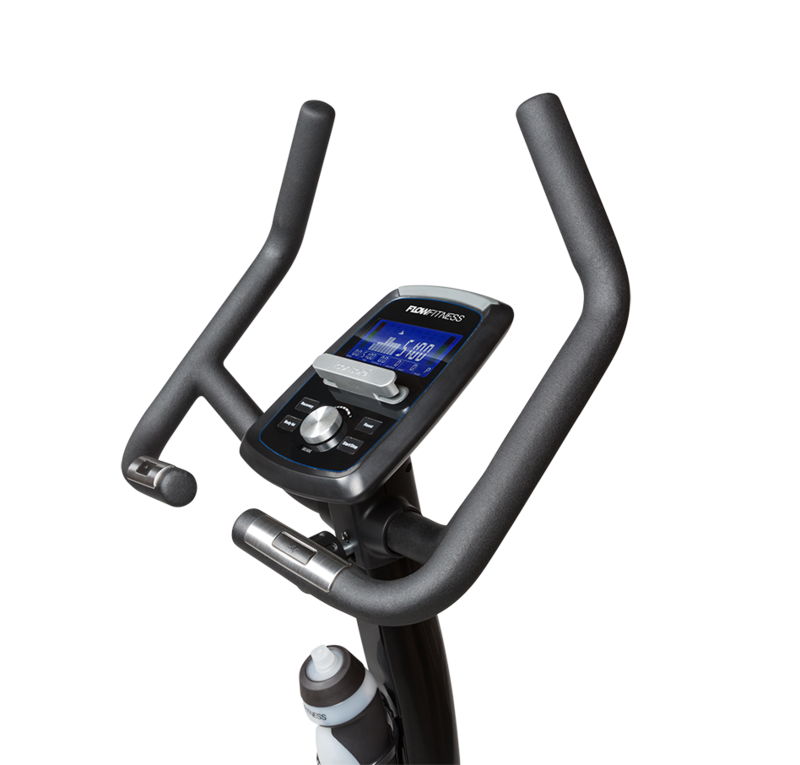 The extensive adjustment options of the B3i ensure a correct posture; the induction system ensures the right resistance. 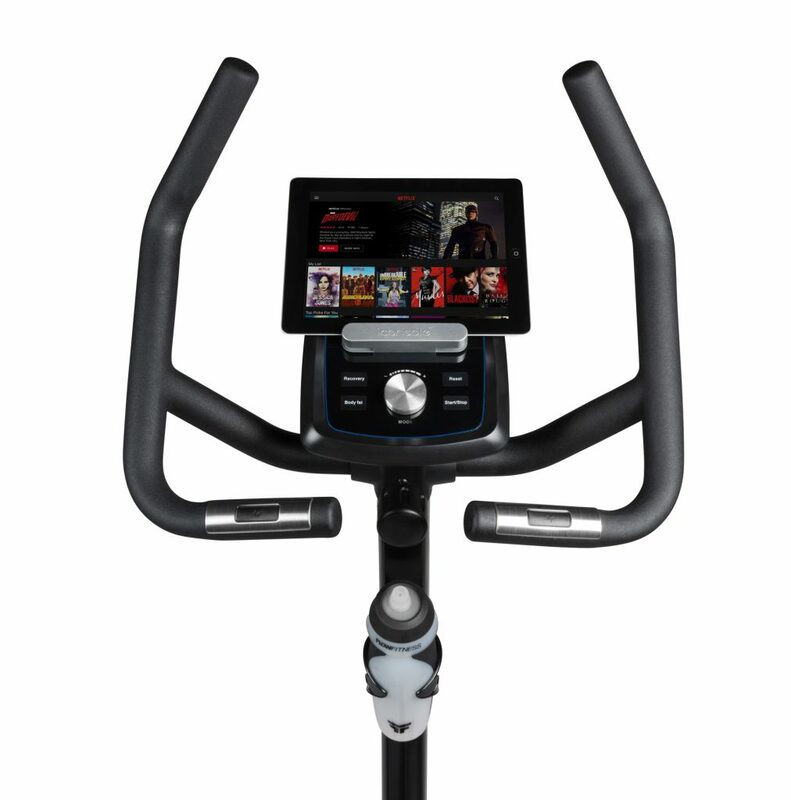 The only thing you have to bring with you is the right mentality, and excellent performances will be guaranteed! 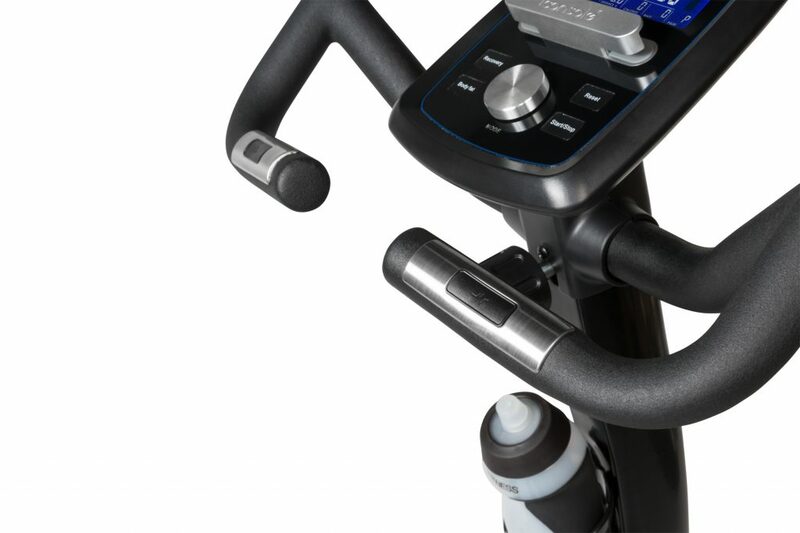 The B3i is powerful, without attracting too much attention. 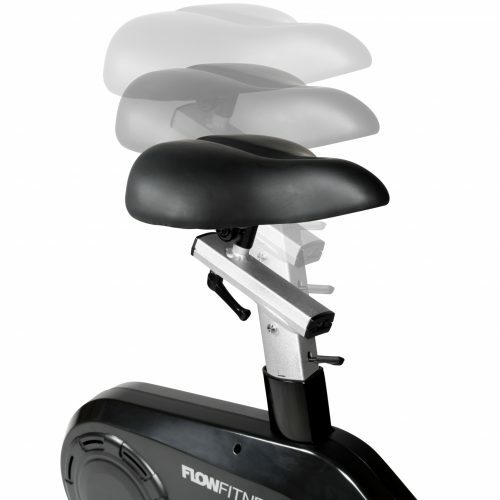 This silent force is noticeably noiseless. 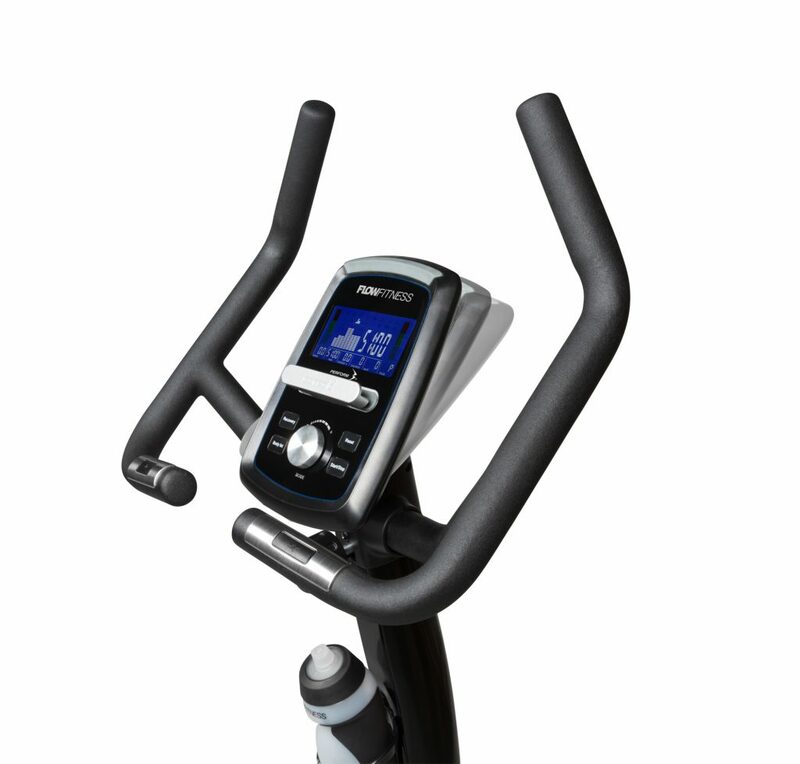 Due to its very low entry the B3i can be used by almost anyone. 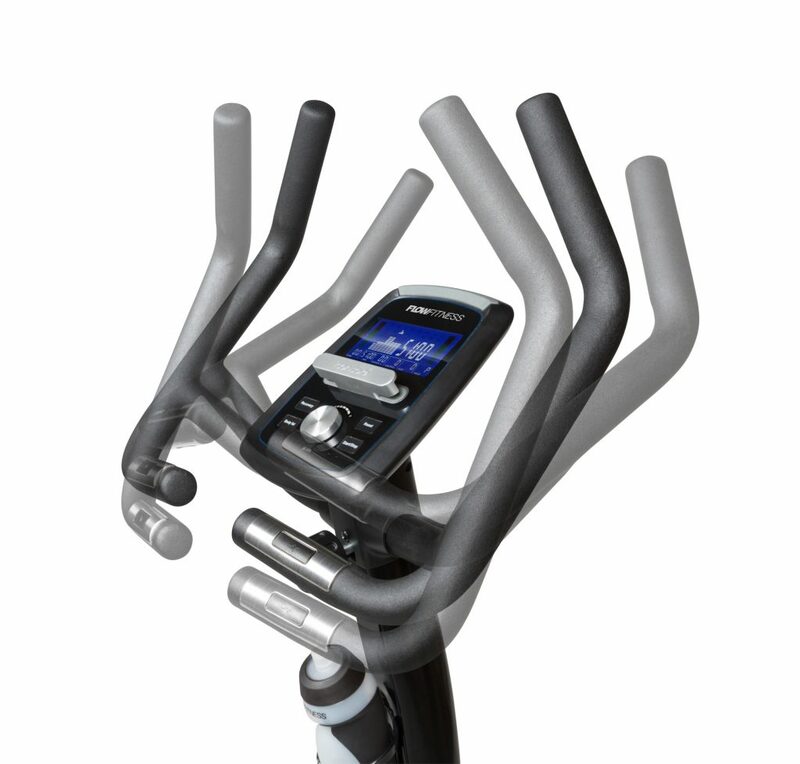 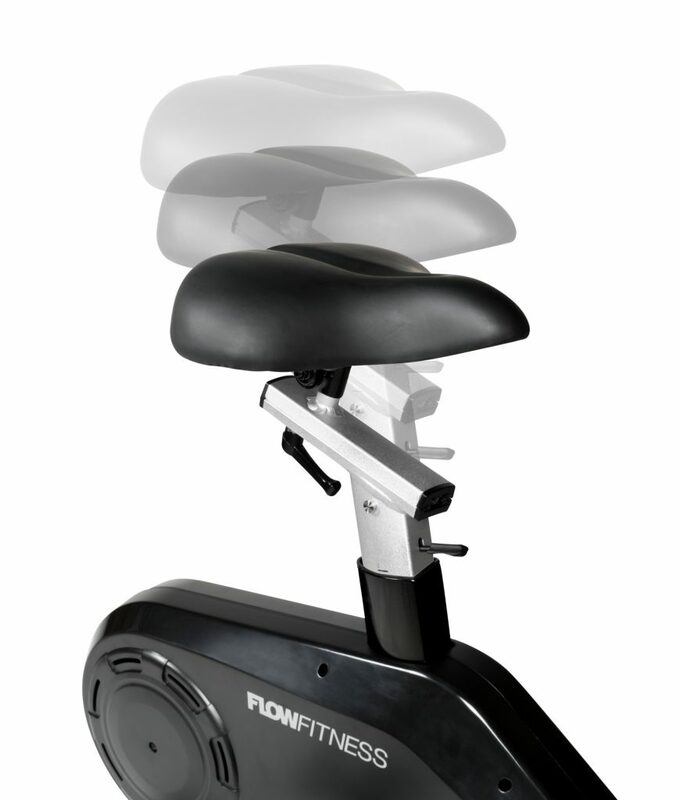 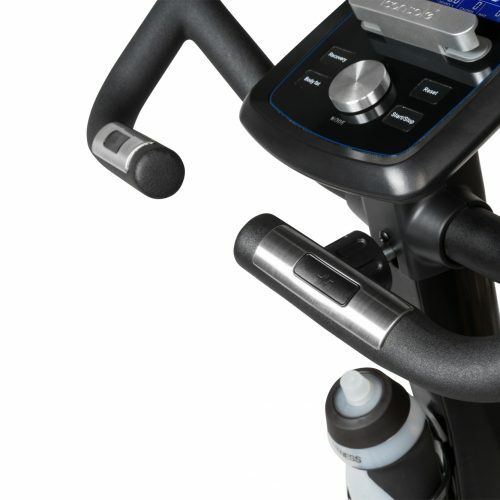 The automatic seat adjustment, the adjustable handlebars and the tiltable computer ensure that you can fully customise this fitness machine. 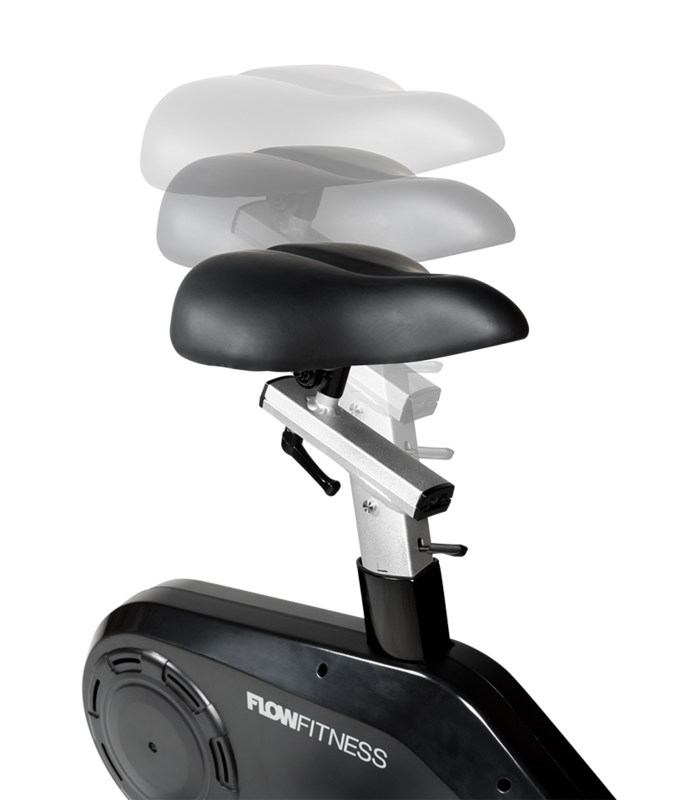 The saddle is soft and comfortable, and the professional pedal straps are easy to attach with the clips. 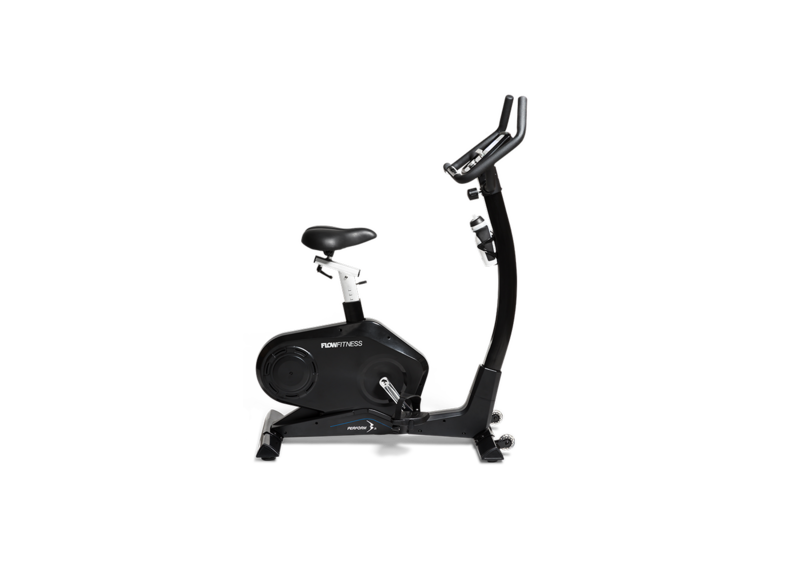 You can expect an exercise bike from this segment to meet all the modern requirements. 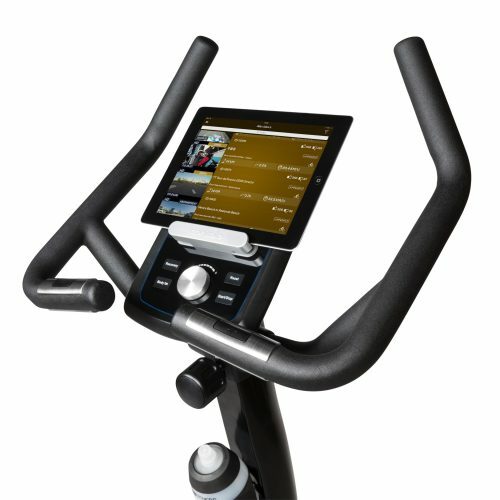 Flow Fitness connects! 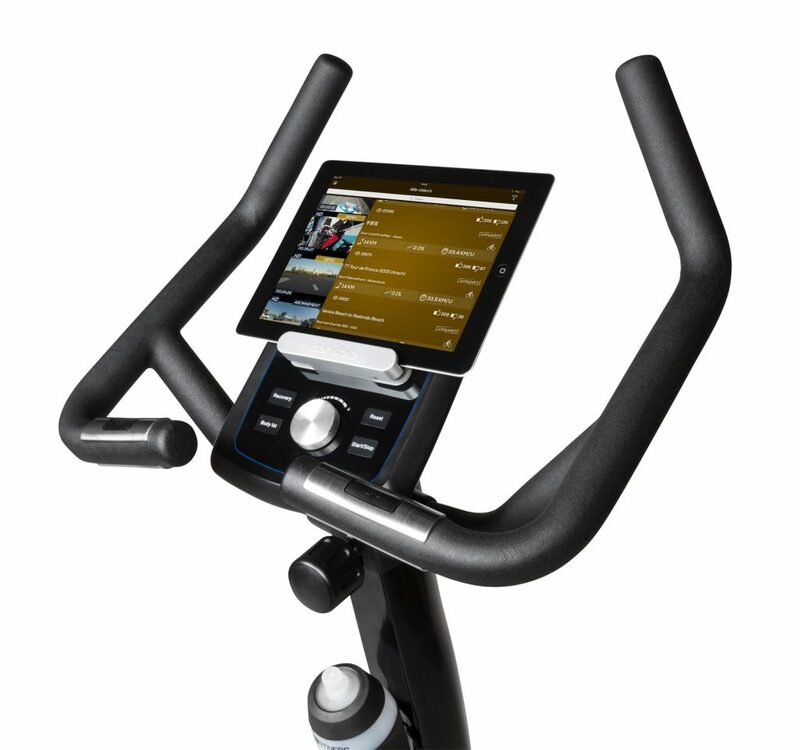 The iConsole offers you the possibility to log into various online training programmes via your smartphone or tablet. 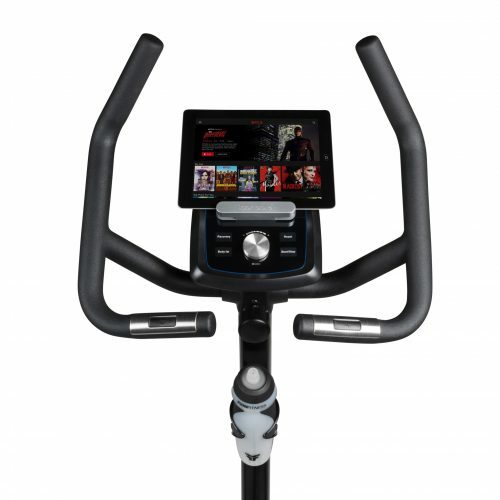 But you can also make your training more enjoyable by watching your favourite series.